Who’s ready for a smorgasbord of gluten-free goodness? I am! 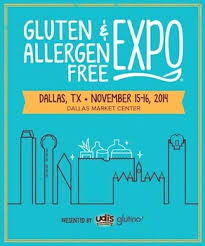 I can’t believe it’s already that time for this year’s Gluten and Allergen Free Expo right here in downtown Dallas. Mark your calendars for this weekend, November 15th & 16th, for the event held at Dallas Market Center. If you remember my previous posts (2012 & 2013), you know that our local Celiac Support Group lends a helping hand with this awesome event and will be again this year. It’s a great way for people to get educated and sample new products before buying…because you know it’s not always cheap to eat alternatively. 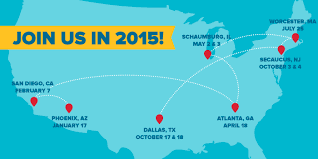 This year there will be over 120 vendors and several classes available both days. Our own Betty Murray will be talking about “Immunity and Food: The Intersection Between Foods & the Immune System” and there will be other speakers talking about The Power of Food, Auto-Immune Diseases, Raising a Child Gluten-free, Getting Rid of Toxins, and more. I try to make time for the classes, but since I’ll be flying solo with two kiddos, I’ll just stick to the food and products. 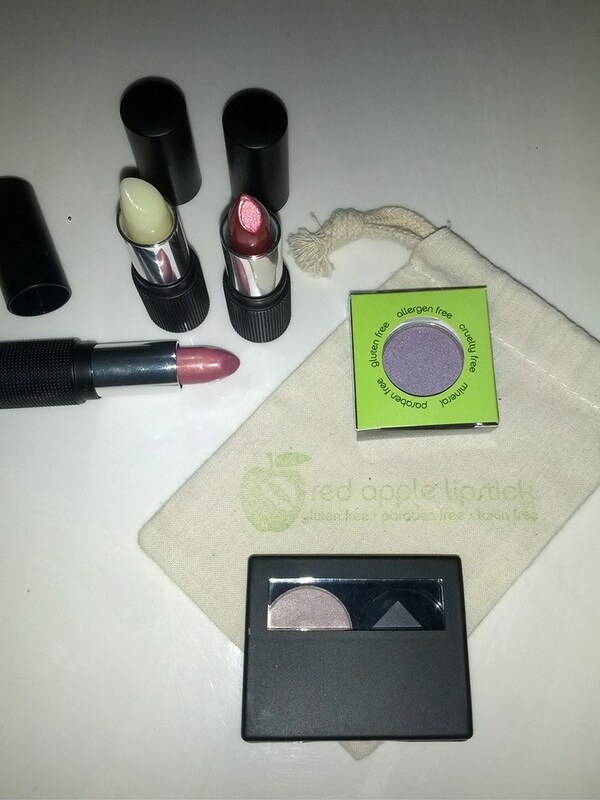 Last year I finally got on board with Red Apple Lipstick and was able to grab some gorgeous allergy-free lipstick and eye shadow (thanks to a gift certificate I had won) to add to my barely-used makeup bag. I love that it’s not full of ‘junk’ and is safe to wear and ingest. You may never have thought about paying attention to what you put on your skin, and since it is the largest organ (and kind of all over), people with allergies have to be careful what they put on their skin along with what they eat. This company hails from Houston, and I will be excited to see what new products they have this year including their mascara. I will also be on the hunt for those companies spouting Paleo claims in their products. It seems like Paleo is on the rise (not a fad diet) because so many people including kids have other allergies/intolerances to things besides just gluten. Plus, lots of people tend to feel better when they cut out the crap grains/dairy/sugar altogether. 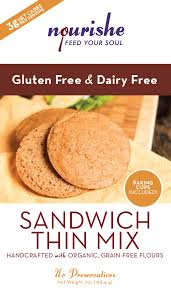 Last year I happened upon Nourishe and sampled some of their tasty sandwich thins. I like that they use alternative flours like almond, coconut and flax seeds, instead of the ole standby gluten-free ones. If you have some time this weekend (or after church) and want to fill your belly with yummy goodness, go check it out (I will be there on Sunday). It’s especially helpful for those who are newly diagnosed or are contemplating going gluten-free for other health issues. Ya’ll know I’m a fan of gluten-free…especially after reading Wheat Belly. Tickets are usually $20 for adults and $5 for kids 3 and up, but follow this link for 20% off and get your tickets now! Don’t live in Dallas? Don’t fret. Here’s a list of Expos for the upcoming year. Hopefully there’s one near you! Hi Jess! My name is Alicia and I’m one of the registered dietitians for Market Street. I’m so glad you are excited about the GFAF Expo this weekend. I’d like to personally invite you and your friends/readers/fans to stop by Market Street’s booth (#1008) and get some samples and a coupon for $5 off $25 at Market Street. I’ve read many of your blog posts and love that you get some of Dr. Bain’s supplement recommendations at Market Street. I have a 6 mos old myself and have loved reading your “crunchy” posts. I’ll be in and out of the expo all weekend but if we are there at the same time, I sure would love to meet you! Hope to see you there. I will be sure to come by and meet you! I love your store and appreciate the natural & gluten-free options ya’ll offer. The expo will be exciting for sure!